With this edition, the New York-based author Vladimir Belogolovsky pays tribute to the title of the same name by John W. Cook and Heinrich Klotz (1973). As with the volume published more than forty years ago, famous architects offer a glimpse into their minds, which is usually conveyed in their designs and buildings. Belogolovsky follows in the great footsteps of Cook/Klotz with his new book. 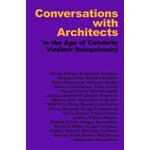 The author provides a detailed picture of contemporary architects – in the form of documented conversations. 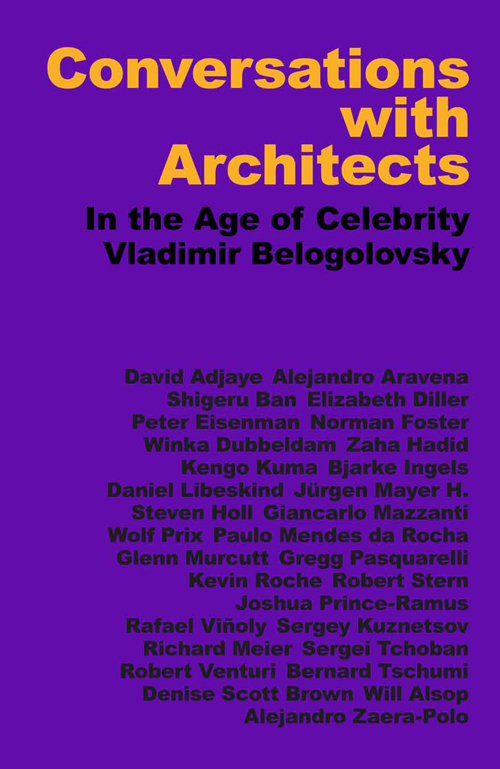 The publication consisting of almost 600 pages presents interviews with thirty architects which Belogolovsky conducted in the framework of his long-term, international activities as a curator and author. The names of the interviewees read like a Who-is-Who of modern architecture. Their iconic work has attracted so much attention over the last years in the mass media that it is often referred to as Starchitecture. Interviews with: David Adjaye, Will Alsop, Alejandro Aravena, Shigeru Ban, Elizabeth Diller, Winka Dubbeldam, Peter Eisenman, Norman Foster, Zaha Hadid, Steven Holl, Bjarke Ingels, Kengo Kuma, Daniel Libeskind, Jürgen Hermann Mayer, Giancarlo Mazzanti, Richard Meier, Paulo Mendes da Rocha, Glenn Murcutt, Gregg Pasquarelli, Joshua Prince-Ramus, Wolf Prix, Kevin Roche, Robert Stern, Sergei Tchoban und Sergey Kuznetsov, Bernard Tschumi, Robert Venturi und Denise Scott Brown, Rafael Viñoly, Alexandro Zaera-Polo.